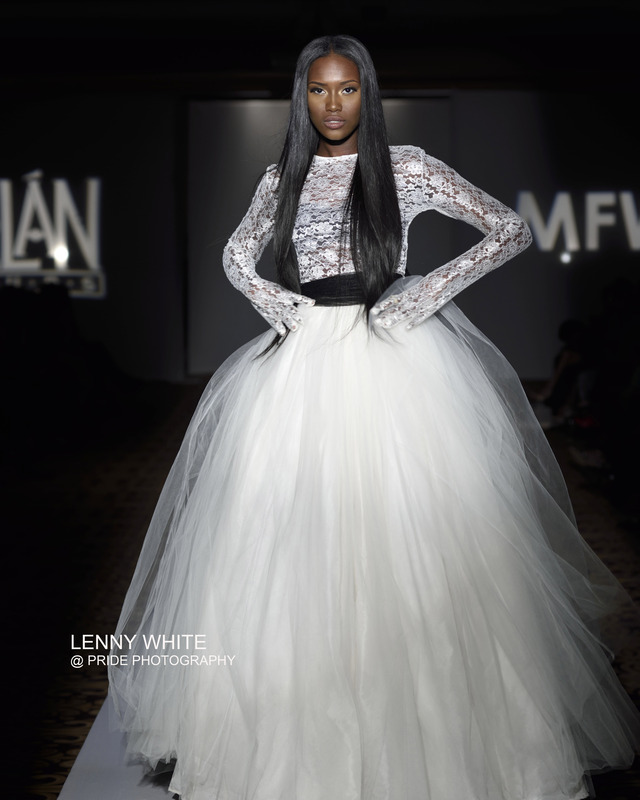 Saturday October, 24 2015 saw the third and final night of Midwest Fashion Week. The Elegance of Fashion event was held at the 502 Event Center in Carmel, Indiana. There was live music playing in the lobby where the fashionites checked in for the event. Walking through double doors into the event was a much different atmosphere than the loud lobby area. The only lighting was that of the spotlight flooding the runway, quieter music played and rows of chairs surrounded either side of the catwalk. The front row was reserved for the VIPs but I was lucky enough to snag a spot at the beginning of the runway between a Chicago dweller and an Indianapolis fashion blogger; which made for quite the interesting conversation in between shows. Before the show began two Pacemates walked the runway and then took time for photos and autographs with fans. 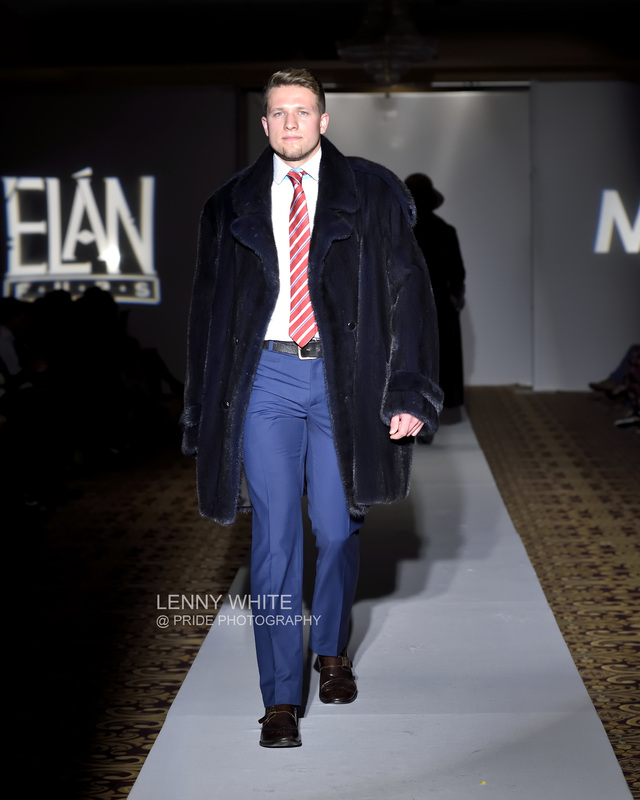 Hosts, Barry Lantz and Joni Michels from Design Your Life Style, took the runway after the Pacemates and introduced themselves and the designers to come while wearing fur coats provided by Elan Furs, the event’s title sponsor. 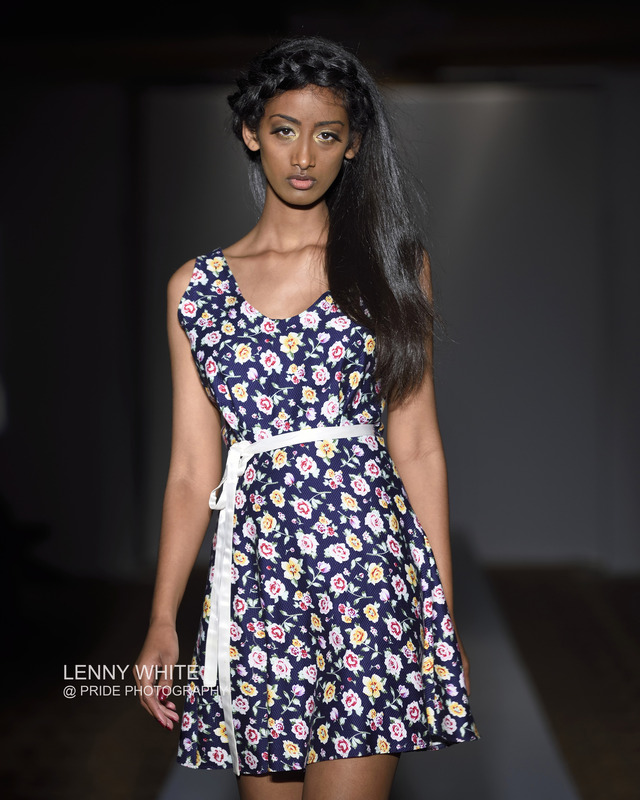 This first collection, Peplum and Paisley designed by Emily Carlson, was light and airy with a genuine feel. Her pieces were original and a wearable art with peplums, pencil skirts, and lace to top it all. The second collection, designed by Sarah Raquel Lalonde, was a wonderful combination of texture and style that would make any woman feel beautiful and sophisticated while strutting down the street. The third collection, designed by Kaythan Kayter, included draped dresses, tulle skirts, and loads of glamour. The fourth collection, designed by Anastasia Chatzka, fun and cutting-edge with neon rain coats (that I am now dying to own), body-suits, and bright colors made for quite the interesting and eclectic show! The fifth collection, the Pierre Phillips Shoes line, had a classic tone with leather pieces, floppy hats, riding boots, and flouncy blouses. 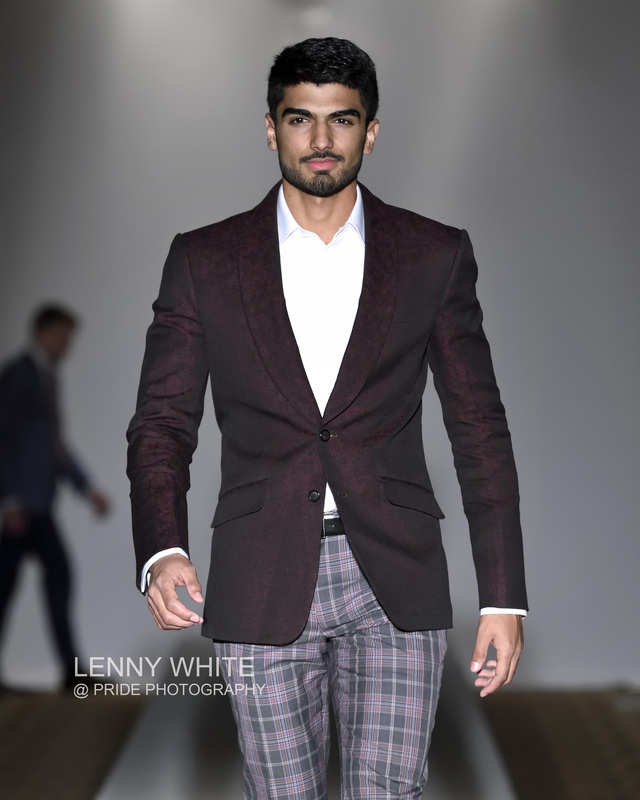 The sixth collection, Catou designed by Berny Martin, is a men’s and women’s professional wear line that stayed true to definition; pleated pants, finely structures pieces, and saturated colors created a gorgeous collection. The last collection of the evening was Elan Furs. 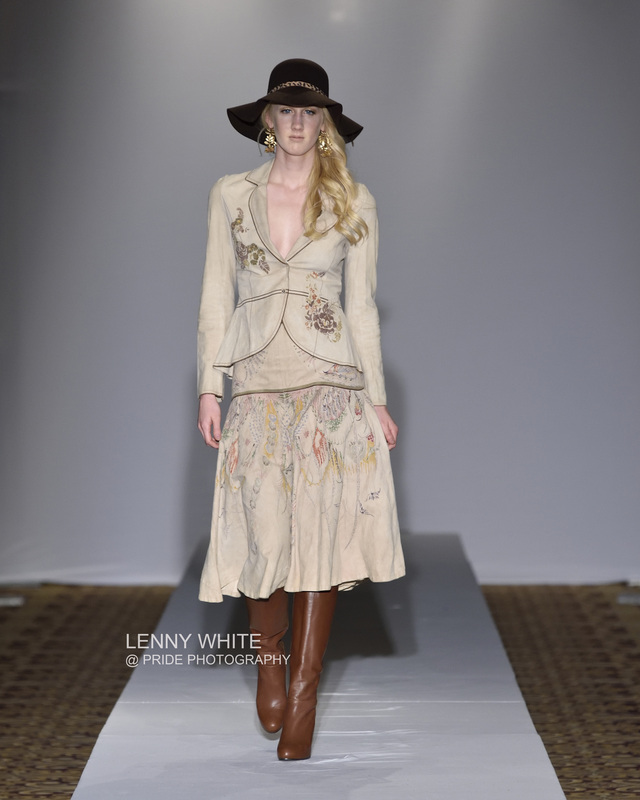 With exotic fur pieces ranging from boots, purses, hats, tops, vests, and coats. The line created a cozy vibe with fluffy pieces bouncing down the runway! Before the event ended Ashley Chew got up to speak about her movement #BlackModelsMatter and promote her t-shirt design followed by her model self walking the runway. Hosts, Lantz and Michels thanked the crowd for coming to the event and as the fashion lovers began to leave last-minute mingling happened and the event came to a close. It was a lovely evening at the 502 Event Center, full of fashion and impeccable design. Midwest Fashion Week here in Indianapolis is never a week to miss and always a treat to the locals of the city and all around! Photos courtesy of Lenny White; for more information visit his website or facebook.